I took the photograph below after an excellent days fishing at Bewl . 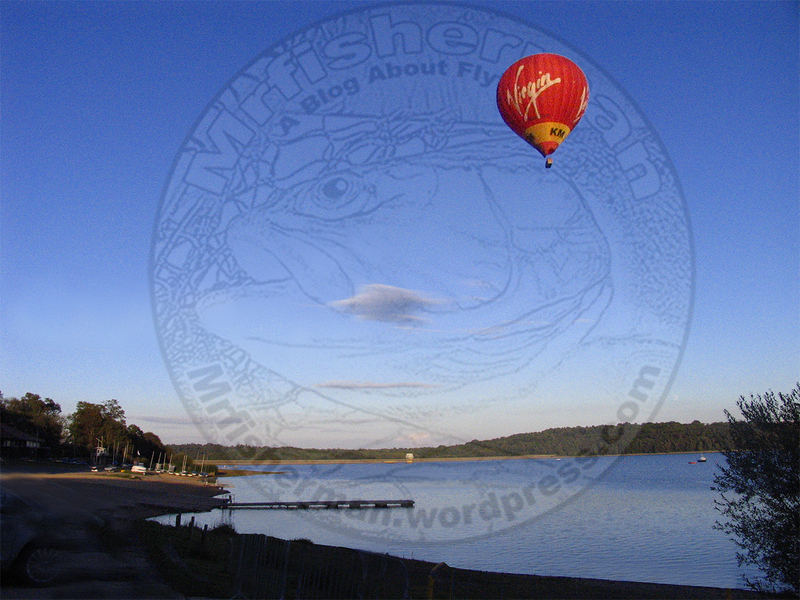 It was the perfect end to the day and a great photo opportunity as a Virgin hot air balloon drifting across the blue sky on a still September evening. 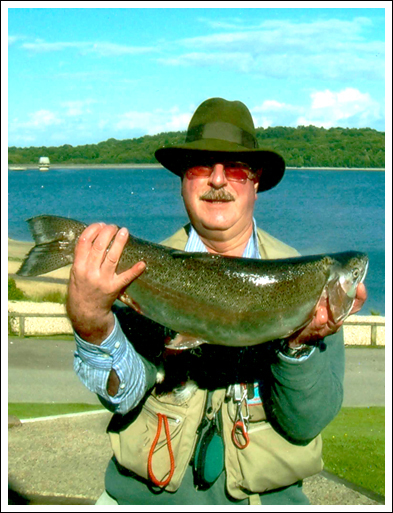 My interest in fishing started as a child on Hythe military canal, my introduction into fly-fishing started much later during a holiday to Scotland; the rented cottage on Loch Shiel came with a boat and an opportunity to try and catch brown trout on the fly. The local gillie sold me some Bloody Butchers and after a lot of time, determination, luck and a very poor casting technique I managed to catch a small brown trout. That was the beginning of my passion for fly-fishing and Bewl. Fly-fishing is an amazing pastime/sport, it doesn’t really matter if you catch fish or not It is a time to think, relax, unwind and appreciate the environment you find yourself in; but when that line goes tight and the rod bends it is a totally different story. An exhilarating experience fuelled by an adrenaline high that is only extinguished when the fish is safely scooped into the net, but sometimes there is a low as the fish escapes your attempts to net it. I have been lucky enough to have caught a few fish at Bewl but it can be a difficult venue due to its size and the varying weather conditions, but there are ways of improving your chance of catching a trout or two. 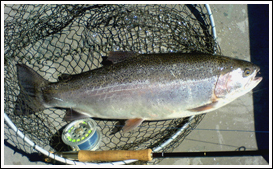 Visit Bewl Bridge Web site and read the weekly fishing reports, ask Janet or Jackie in the fishing lodge where fish are being caught and what flies are catching. 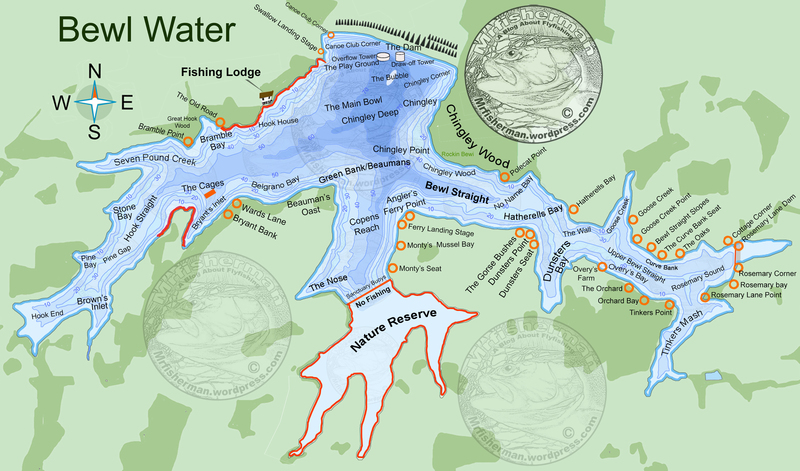 Rob Barden and Vince Brooks are excellent fishermen and a mine of information regarding Bewl and if they are about its worth asking their advice. If you fish Bewl on a regular basis you should become a member of the Bewl Bridge Fly Fishers’ Club. Not only do you get a discount on fishing equipment at the lodge and other places but also the combined knowledge of its members and Ray French the editor of the clubs bimonthly magazine “Bewl Angle”. This is a good read and full of essential information concerning fishing at Bewl and could possibly be the key to your success at Bewl. Tight lines! Fly fishing is an amazing pastime/sport, it doesn’t really matter if you catch fish or not. It is a time to think, relax, unwind and appreciate the environment you find yourself in; but when that line goes tight and the rod bends it is a totally different story. With an exhilarating experience fuelled by an adrenaline high that is only extinguished when the fish is safely scooped into the net, but sometimes there is a low as the fish escapes all your skill and attempts to net it. But that’s what fishing is all about and the reason why I am so passionate about it! I have been fortunate to have caught two 10lb plus fish at Bewl that I can honestly say produced all of the above feelings. The fish pictured below was caught on a green buzzer that I tied using part of a Christmas decoration. The green buzzer was part of a team of three flies fished on a washing line set up, the position of the flies was as follows a Booby on the point, a Diawl Bach on the middle dropper and the Robin’s Green Buzzer on the top dropper. The retrieve was a very slow figure of eight and the take was explosive!